Our savory Pure Mind Blend has been carefully crafted to help you escape distraction any time of day. We’re not exaggerating when we say our intentionally crafted Pure Mind Blend is the perfect cup of 100% organic herbal tea to increase your brain’s ability to focus. The magic we’ve included in each bleach-free teabag deserves your attention. 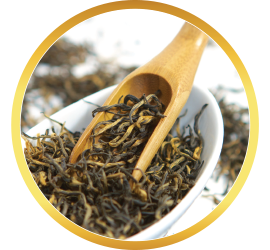 With such an exquisite blend of herbs expertly brought together to create a seriously pleasing and beneficial cup of tea, it might be of interest to take a deeper look at what each ingredient contributes. 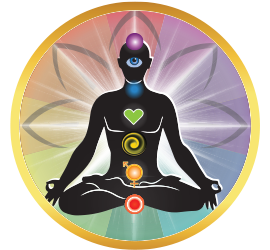 As with other Buddha Tea Blends, Pure Mind Blend works so amazingly due to the synergistic manner in which the herbs are combined. Here, once again, together really is better. 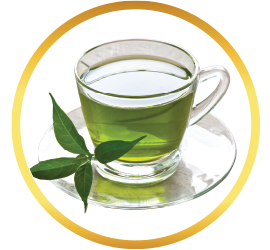 Oregano—Its high thymol content (also found in thyme and our Thyme Tea,) make oregano a super addition. 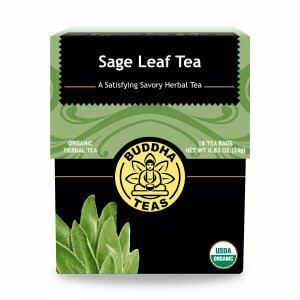 Sage Leaf—A derivative of Latin, the word sage translates to “salvere” and means, “to be saved.” In addition, sage provides a delightful taste sensation. Ginkgo Biloba—Though first recorded as a medicine in the late 15th century, today, Ginkgo Biloba has become a popular herbal tea ingredient. 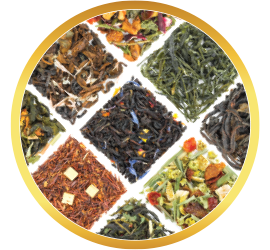 You don’t have to brew 9 different teas to reap the benefits of them all. 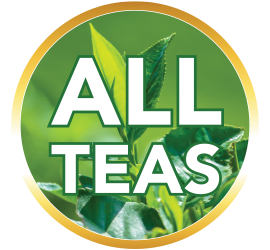 We’ve combined them for you, in one, outstanding, incredibly smooth, drinkable tea. The flavor profile is, we think, sublime. No single ingredient jumps out and steals the show. It’s the ratio’s perfection that makes this blend one you’ll feel delighted to drink, any time of day, throughout the day. 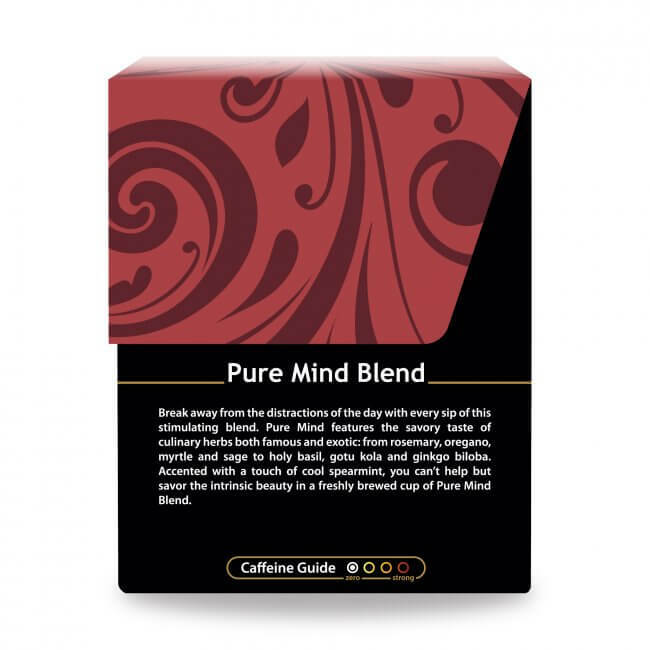 There's no better time than now to enjoy Pure Mind Blend. 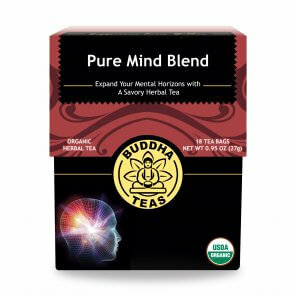 If you’ve been in search of a tantalizing beverage you can enjoy without the worry of chemicals, sugars or additives, Buddha Teas Pure Mind Blend is a wonderful option. 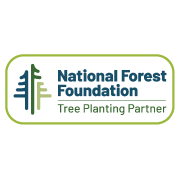 Each of our blends is prepared exclusively with high quality organic ingredients, and with our bleach-free tea bags, you can enjoy the full, natural tea benefits free from worrying about the risk of unwanted chemicals. 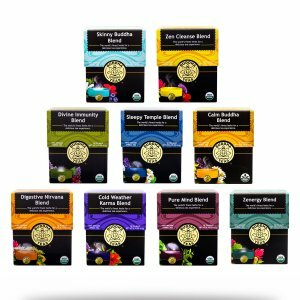 Order in bulk to benefit from our bulk pricing discounts - plus, all US orders of $50 or more are eligible for FREE shipping! 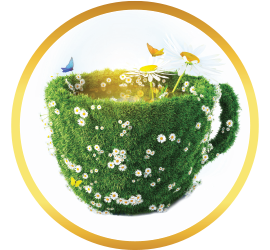 Discover the benefits of Pure Mind tea for yourself today! I love this tea! 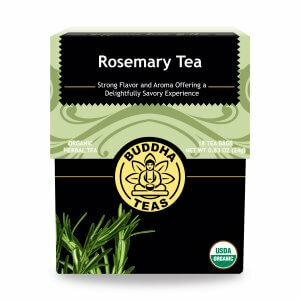 I follow my yoga activities with a cup of this calming lovely tea! So pure and makes me feel so tranquil! Love your teas! 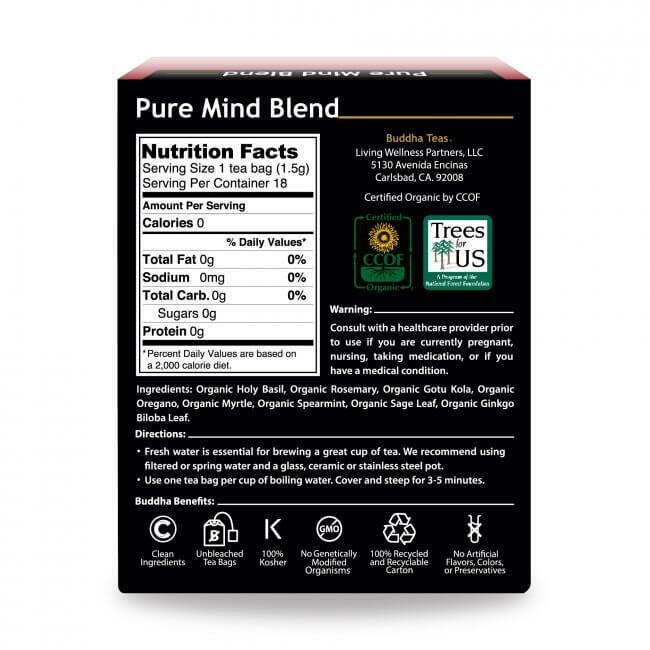 I was looking for a tea to relax my mind due to work in a stressful environment and I found the Pure Mind Blend. I love the taste and it works. I love,love,love the flavor of this tea and not to mention the pure mind I have after drinking. The speed of getting my order was super fast, and packaging was neat. A great blend with a fresh flavor. It’s great on it’s own, i pair it with green tea frequently. It helps me a lot at work to stay centered and stress low. 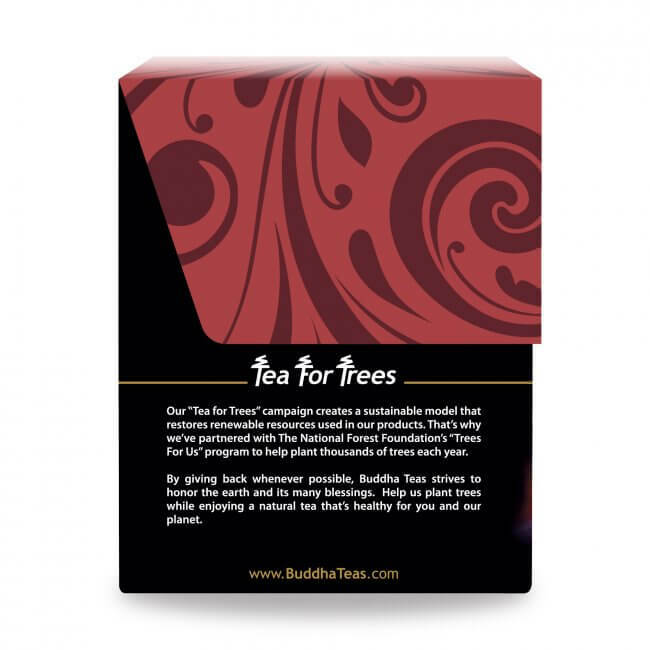 This is my favorite tea from Buddha Teas. The taste is excellent and it helps me focus on studying. Review Title: My favorite one! 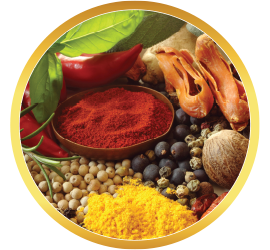 A nice blend of savory spices. I didn't know how much I would enjoy the combination since they are on the less sweet side of the herbs, but a great combination! Taste great! I purchased this tea three weeks ago and it really helped to relax my mind in many ways. I love it and will continue to purchase. My delivery was very fast as well. I really enjoy this tea. The flavor is calming and earthy. I'm happy I purchased. I tried this at a friend's house at a time when I was feeling extremely anxious. I was amazed at how calm I felt after I drank it and was able to get a good nights rest that evening. 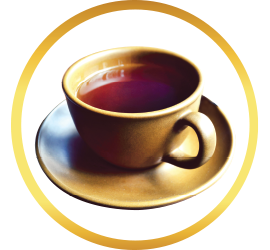 The next day I ordered three boxes and am continually enjoying the benefits from this tea. I also truly enjoy the flavor, I can tell the ingredients are of the highest quality. I am very pleased with this tea!